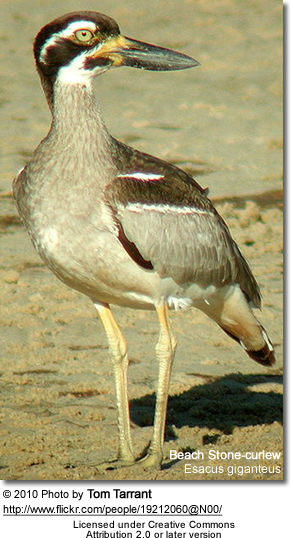 The Beach Stone-curlew, Esacus giganteus also known as Beach Thick-knee is a large, ground-dwelling bird. It occurs in Australasia and the islands of South-east Asia. 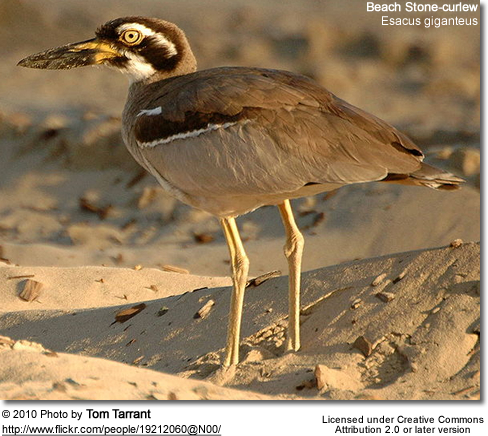 The Beach Stone-curlew is a resident of undisturbed open beaches, exposed reefs, mangroves, and tidal sand or mudflats over a large range, including coastal eastern Australia as far south as far eastern Victoria, the northern Australian coast and nearby islands, New Guinea, New Caledonia, Indonesia, Malaysia, and the Philippines. It is uncommon over most of its range, and rare south of Cairns. 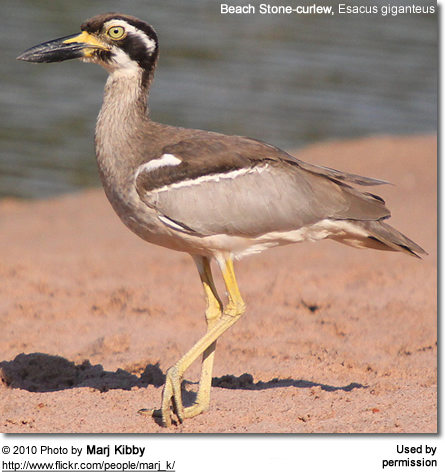 The Beach Stone-curlew is classified as Near Threatened on the IUCN Red List of Threatened Species. It is less strictly nocturnal than most stone-curlews, and can sometimes be seen foraging by daylight, moving slowly and deliberately, with occasional short runs. It tends to be wary and fly off into the distance ahead of the observer, employing slow, rather stiff wingbeats. A single egg is laid just above the high tide line on the open beach, where it is vulnerable to predation and human disturbance.